The high fever itself is not a disease, it can be a sign of a hidden state. Usually this may be a sign of a fever or a bad one. However, there may be many non-infectious causes of fever, but viral infection may be a common symptom of fever. Viral infection can be caused by many types of viruses. Among these, influenza is the most common flu. The viral fever can affect many organs of the body such as the intestines, lungs, airways and many other parts. There is no difference what part of your body has been affected by this, you are usually complaining of fever. Apart from this, there may be complaints like headache, runny nose, swelling in the throat, voice sitting, cough, muscular pain, abdominal pain, diarrhea and / or vomiting. 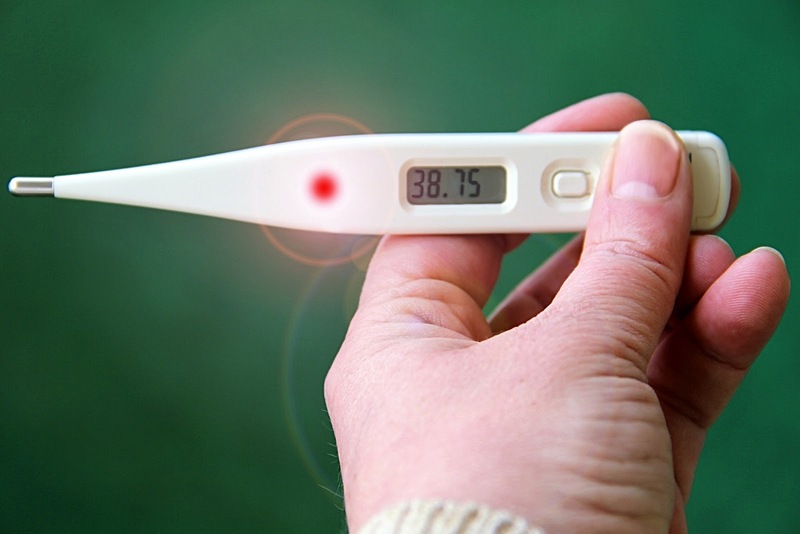 When you have a fever, it means that the temperature of your body has increased as a response to illness or infection. Experts agree that fever is part of the body's natural immunity towards infection. With heat, the body works to destroy the infection. And understand that there will be no effect on anti-biotics infection. There is no need for a test in 95% of cases when viral fever. If the sufferer's fever is not reduced or ending, then the doctor tries to find out if there is no infection in the blood, with the help of the CBC's Complete Blood Test Test. If the CBC will be less then viral will become more enlarged then there will be bacterial fever. If the situation is not clear from the CBC or there is a risk of a particular virus, then the doctor advises to have Viral Antigen Test (VAT) or Polymerase Chain Reaction Test (PCR). When does viral fever spread? Viral fever is usually done on changing weather, but people in the monsoon are more prey. How many days it effects? Usually it takes effect 3 to 4 days. Keep normal water straps on the body of the patient. Keep the bandages as long as the body temperature does not decrease. The patient can give a tablet of paracetamol every six hours. Do not give any other tablet without asking the doctor. If the fever is not correct for two days, then take the patient to the doctor. The patient should consume sufficient amounts of glucose and electrolyte. Basil leaves are the most effective remedy if you feel symptoms of Viral fever. Boil one teaspoon clove powder with about 20 fresh and clean basil leaves in a liter of water and boil. Take this decoction every two hours. Bacterial anti-disinfectant, anti-biological and fungal properties make Basil the best for viral fever. People with viral fever should use dry ginger and turmeric with honey to remove the problems. Ginger is extremely beneficial for health. It has properties to reduce the symptoms of anti-flamel, antioxidant and viral fever. Boil it by adding two medium-sized dry pieces of ginger or nour powder to the water. Boil some turmeric, black pepper, sugar etc. with ginger in second boil. Drink it a little, four times a day. It provides relief in viral fever. Coriander seeds give vitamins to the body and also increase the immune system. The antibiotic compounds present in coriander give the power to fight viral infection. For this, boil a big spoon of coriander seeds in the water and boil it. After that mix a little milk and sugar in it. Drinking it gives a lot of comfort in viral fever. The popular home remedy for the treatment of viral fever is rice starch or paddock. This traditional remedy enhances the immune system. This serves as a natural nutritious drink especially for children and older people suffering from viral fever. Add salt to taste and drink hot and hot. The fenugreek seeds available in the kitchen include medicinal properties such as diaesgenine, supine and alkaloids. Drink this drink at regular intervals to treat viral fever. A mixture of fenugreek seeds, lemon and honey can be prepared and also used. Fenugreek seeds are used in the treatment of many other diseases and this is a good drug for viral fever. Lime juice and honey reduce viral fever. You can also consume honey and lemon juice. Mix ginger juice in black tea and put one teaspoon honey. Can also take ginger juice with light warm water. It will also relax the throat and will not have viral fever. If the viral fever is done again, it will get rid of it quickly. To avoid viral fever, orange juice is very useful during that time. Orange juice is very beneficial in strengthening the body. To increase the immune system, remove the fresh orange juice in the home and drink it. This helps the body to fight any type of infection. The immune system is also strengthened by the consumption of mint and also provides relief in fever. Apart from this, the effect of natural infection can be eliminated. Eating a vegetable soup or eating proteins and vitamins can also be easily remove the fever. You will feel better if you sit in a lukewarm or cold water tub. You can open the window to reduce the room temperature. And if you are cold, then keep a warm blanket near you. Instead of using those clothes to control the temperature of your body, which are difficult to remove, the blanket is better used. Cold food can also help you. You should drink plenty of water in the viral condition. Besides, drink juice and caffeine tea. In most fruits, antioxidants are found in which your body's immune system is strong and the toxic substances are released from the body. If you have diarrhea or vomiting, then consuming electrol will be beneficial for you. Besides, lemon, lamengras, mint, greens, honey etc. can also be beneficial for you. Eat pieces of raw garlic. You can also eat it by putting a city on it. Also add two buds of garlic to two teaspoons olive oil and heat it and massage it in the feet of your feet. Wrap your feet for the whole night.